NPAT 2018 BBA/B.Com and B.Sc Finance admission will be done on the basis of NPAT which is commonly known as NMIMS Programmes After Twelfth. The NPAT 2018 will be conducted on 12 & 13 May 2018. NPAT 2018 is an undergraduate entrance test conducted for admission to Undergraduate & Integrated Degree Program offered by Narsee Monjee College. Once the candidate qualifies the exam, they will get admission in schools of NMIMS Anil Surendra Modi School of Commerce (ASMSC) at Mumbai, Navi Mumbai, Bengaluru and Indore Campuses. The application process has been started and the last date to apply is 28 April 2018. This page gives the complete information on NPAT 2018 BBA/B.Com and B.Sc Finance. Through NPAT, the candidate gets admission in the following courses mentioned below. However, the candidates need to know that BBA MMS is a 5 years dual degree program which provides an opportunity to the students to pursue MMS Program after completion of their BBA Program. This course is only available on Mumbai Campus. B.Sc Finance Mumbai & Bengaluru campuses of Sarla Anil Modi School of Economics. BBA Mumbai, Bengaluru, Navi Mumbai & Indore campuses of Anil Surendra Modi School of Commerce. Latest Update: The Narsee Monjee Institute of Management Studies has released the notification and the NPAT Application has been started and the last date to apply is 28 April 2018. The table below gives information about the NPAT 2018 BBA/B.Com and B.Sc Finance. The candidates can check all the relevant dates related to NPAT. Academic Qualification: Candidate must have passed Class 12 or equivalent exam including international IB Diploma (IB certificate awarded is not eligible) in any stream from a recognised Board at the first attempt with Mathematics/ Statistics as a compulsory subject. Candidates appearing for their final Class 12 or equivalent examination can also apply provided they should obtain the required minimum cut off marks. For B.Com (Hons): candidates should have secured 60% aggregate marks. For B.Sc Finance: candidates should have secured 60% aggregate marks. For BBA MMS: At the end of 2nd year of BBA, the top 120 students who meet the eligibility criteria will be offered admissions to enrol for the MMS Program from 3rd year of the BBA program. Candidate passed with compartment is not eligible. Candidates should present single mark sheet. Narsee Monjee Institute of Management Studies has released the notification and the application process has been started. To apply for NPAT, the candidate has to first register and then fill the application form available. Candidate can apply for more than one courses and school while filling the NPAT Application form. The candidates are advised to follow the link below to fill NPAT Application Form. Step 1 Register: The candidates need to register themselves by entering their name, DOB, email and contact address. Step 2 Login: After successful registration, a registration id and Password will be generated and will be sent to the email id of the candidates through which the candidates can login further. Step 3: In this stage, the candidates must fill their academic qualification, course applied, test centre, address and the school he/she is applying for. Step 4 Uploading Images: The candidates need to upload their recent passport size photograph in the online application form. The duly filled in NPAT 2018 Application Form needs to be submitted online by the candidates and the candidates must verify the details entered by them in the online application form because once the form has been submitted the candidates will not be able to make any changes. Candidates are not required to send any hard copy of the confirmation page or any other document to the registered office. However, they are advised to take a print-out of the NPAT Application Form. NPAT Admit Card is expected to be available from 7 May 2018 on the official website only for those eligible candidates who have submitted their duly filled application forms before the due date. The candidate must also carry any one of the following requisite original ID proof along with a photocopy of the same while appearing for NPAT 2018. The NPAT 2018 Application Fee amount is Rs. 1800. However, the application fee for candidates applying for more than one school is different. The candidates can find the details of more than one school program from the table. Desirous candidates who wish to take admission in BBA/B.Com (Hons.) /B.Sc. (Finance) The program will be required to appear for online Test to be conducted at various locations in India. Type of Exam: Type and difficulty level of questions in NPAT 2018 will be on SAT Pattern. It will be an online objective type multiple-choice test. There will be no descriptive type of questions. 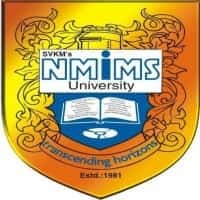 Anil Surendra Modi School of Commerce (ASMSC) under NMIMS University offers BBA, B.Sc Finance and B.Com for the selected candidates who will clear the NPAT 2018 entrance exam. ASMSC seats for Mumbai, Bengaluru, Navi Mumbai and Indore campus are given below. The NPAT 2018 will be conducted at following centres (Cities). Physically challenged candidates who wish to take assistant for NPAT 2018 must mention this at the time of Registration. Candidate will have to email the scanned copy of his/her 'Disability Certificate' along with NPAT 2018 ID and name to 2018npat@gmail.com. Vile Parle (West), Mumbai – 400 056.